“X” bracing is provided on all sides for tote stability. A hole is provided in the bottom of each leg to allow the stand to be anchored to a suitable hard surface. 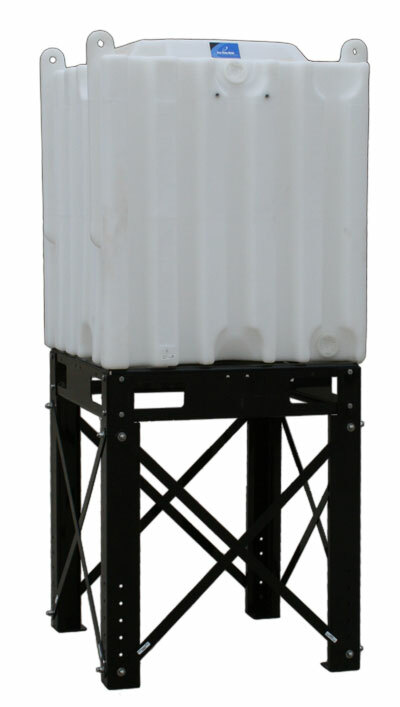 Visit our Stackable Totes and Stackable Tote Accessories pages to view product specifications.